A couple of weeks ago, Kate Motaung invited us Five Minute Friday-ers to The Nester‘s 31 Days Writer’s Challenge. Kate’s challenge within the challenge was to write something every day for 31 days, but to keep it within 5 minutes. I decided to go for it. My list of posts are below. They are subject to change, but I will link them up here every day. My first post is here: Why are Relationships so Hard? Thank you for joining me! I look forward to hearing how #Connecting works for you. Please subscribe to receive each post every day!! Update: As I’ve been writing, I have felt called to be more personal, more authentic, and much more vulnerable this month. So, beginning on Day 7 I began to tell part of my story. 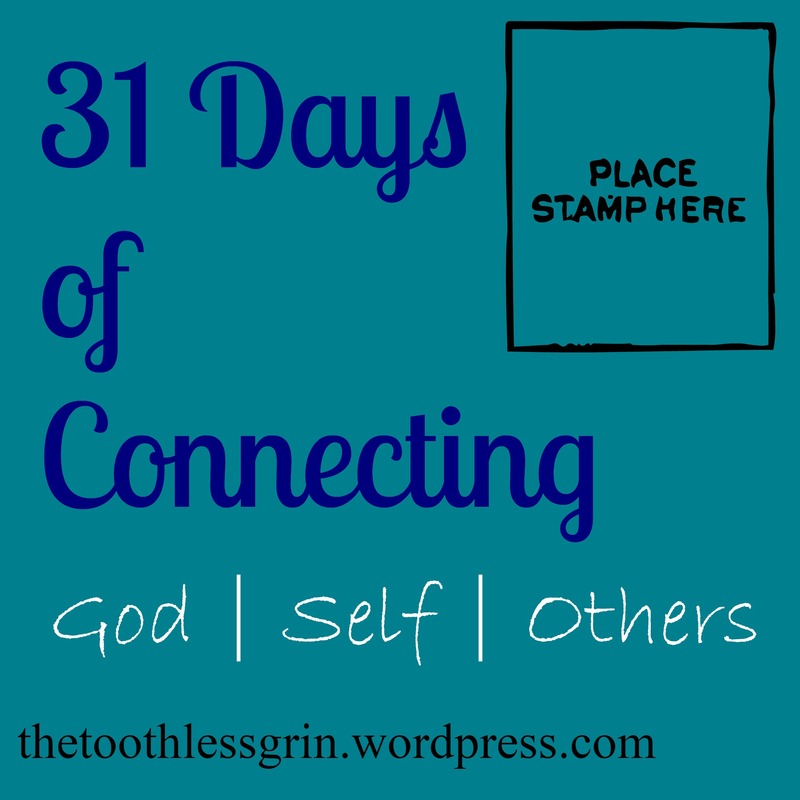 I hope that through it you begin to connect more with God, yourself, and others. Oh, and sometimes I took longer than 5 minutes. But it’s that important. God bless you. Day 1: Why are relationships so hard? Day 18: The God of the Universe Cares for You… Will You Let Him? Day 21: I worked on my book! Day 18: Sign Off. I mean it. Day 20: Can you keep a secret?